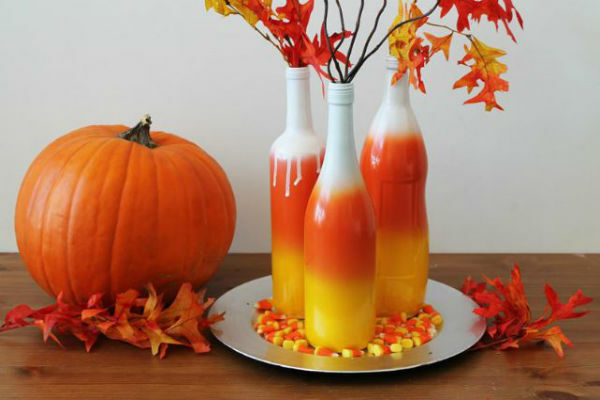 Candy Corn Ombre Wine Bottles DIY Project! For further directions on making these Halloween Ombre Bottles, be sure to visit the Brit Co Webpage. Let us know if your DIY project turned out, because we’d love to know.